We will arrive on time, where you need us, and with whatever we need to get the job done whether you drive makes like Suzuki or Land Rover. 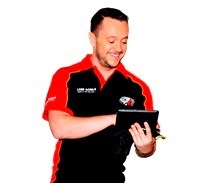 Our friendly mechanics will keep you in the loop on any and all work, explaining throughout what they’re doing to keep your vehicle operating at optimum performance levels. In just the last three months our clients have left us over 47 positive reviews. We provide high quality service on the spot, cutting out the stress and inconvenience of attending mechanic workshops. 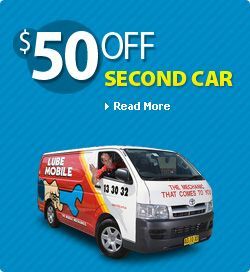 Book a mobile mechanic from Lubemobile and have your car conveniently serviced or repaired at the location of your choice by one of our one of our 33 mechanics in Brisbane South. The Lubemobile fleet of mobile mechanical specialists operate in Durack, Random Surrounding Suburb 1], Redland Bay and Beenleigh. We operate everywhere that you are. Our fleet are the fully mobile mechanics attending to vehicles all over Australia. We are ready and active and in your local area attending to over 1,661 vehicles in the past year. Book a car service today for the time and place that best suits you and our mechanic will arrive on time with they need to complete everything on site. Common vehicle services in your area include Log book servicing and our mobile mechanics arrive equipped to work on anything from throttle positioning sensor check to replacing worn brake pads, as well as on site specialist tyre and wheel work. You might have already seen a Lubemobile mechanic around your area. Commonly serviced vehicles in and around your local area have been Toyota, Holden and Ford. Our mechanics arrive on site fully equipped and experienced to service all vehicle types. Recent clients have had their Volvo, Citroen and Jaguar completely serviced and repaired at their home address, their workplace and even their holiday destination. Parts are only of the highest quality and spares are sourced quickly and efficiently to ensure that your time is affected as little as possible throughout the repairs. Mechanics have on hand spares and parts like brakes, master cylinder and lifters ready.